I provide the impetus for change and pave new ways by seeking fairness for all. I am interested in people, their potential, and developing new strategies and business models for creative, successful, and effective work. I provide the impetus for change and pave new ways by seeking fairness for all. I am interested in people, their potential, and developing new strategies and business models for creative, successful, and effective work. I have a Bachelor’s Degree in Electrical Engineering and a Master’s Degree in Business Administration and Organization. I have gained experience as a developer at Eti d.d., the director of Oria Computers d.o.o., the director of competence development at Trimo Group, the president of the management board of Svea d.d., and as the acting director of the Centre for Business Excellence of the Faculty of Economics at the University of Ljubljana. Currently I am a business consultant and developer of collaborative leadership in progressive enterprises. 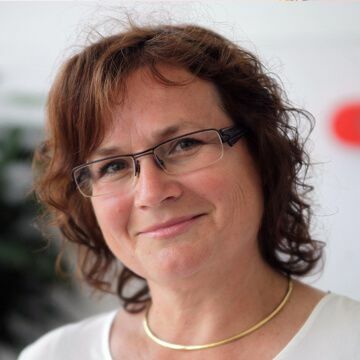 I am a Gold Member of the Managers Association in Slovenia and a member of the Executive Committee of the Women Managers Section, and a leader of women’s mentors network. The liberty of free will works both ways, one can either be active or decide not to be. That is our right and it is ok. Strangely enough, not everybody wants to be empowered. But just think – would you feel better about yourself if you try and fail or if you don’t even try? In both cases, you will learn a lot about yourself. Empowered woman can lead her life as she wants to. She decides what is important for her and she sets her priorities. 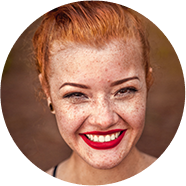 She can be a family person, she can be successful in her professional life or both. She assumes responsibility of her life and she is the creator of her future. She is developing her leadership role from inside, grounded on her values, her personal mission and her vision and collaborates with others for a better world. Women empowerment creates the circumstances that women can live their lives to their fullest. As a young manager I had neither a mentor nor a role model to whom I could turn to. I was a self-made woman, often relied on my gut feeling, and eagerly perused diverse literature for managers. And I succeeded as the general manager of an IT company and also experienced the role of a leader with the highest executive power in the mid-sized company in crisis. With my knowledge, experience, and exploration of new paths, I wish to encourage women in various organizations and support them in creating their leadership roles. 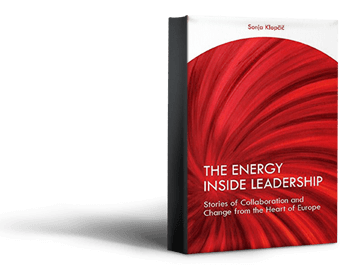 I also wrote a book The Energy Inside Leadership with stories, where based on my career and personal experiences, I describe the human aspect of the managerial world and leadership, as well as a vision of collaborative leadership. I openly present the experiences, both pleasant and unpleasant, that have contributed to my personal development and shaped my style of leadership. Empowered people appreciate their own potential, take responsibility for their development, foster an entrepreneurial mindset, strive for innovation, and collaborate on the basis of trust, so they can become leaders and help develop work methods that are beneficial to people and nature. I believe that anyone can be a leader if they act responsibly and from their heart, true to their values, and for the good of the community. For me, the leadership role is not bounded to a formal role in the organization, one can also be a leader without the title. A leader’s task is to create a favorable environment that will enable the people with an inner glow to fully realize their potential and receive encouragement and support. Leaders have to be aware, that their excessive meddling takes away their colleagues’ opportunities to learn and develop. It is advisable that leaders assume a bird’s eye view and follow the events from a comprehensive perspective, intervening and providing guidance only when organization’s goals are threatened. The ultimate goal should be: leading in order to empower others. Even if you do not get empowerment from the outside, you can still empower yourself from inside. Bet on your internal drive, on your passion. Intrinsically motivated people usually achieve more. They are committed to their work and due to their drive to attain new knowledge can achieve something permanent, they can also weather the tough times.